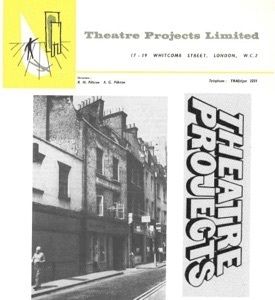 Theatre Projects was founded in 1957 by Richard with Bryan Kendall in London, as an upstart lighting design and rental company. The company grew. 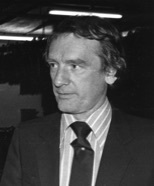 In 1959 sound design, rental and later sound manufacture was added under David Collison (the world’s first credited sound designer). In 1963 partnership with Tony Walton and Harold Prince as London producers produced “A Funny Thing Happened on the Way to the Forum” in London. This was followed by almost 30 other West End productions including “Fiddler on the Roof,” “Company,” “Cabaret,” and “A Little Night Music.”. UK-based productions included "Edward II" and "Richard II" starring Ian MacKellan. In the 1970’s TP moved into film ("Swallows and Amazons" starring Virginia McKenna) and TV production "All You Need is Love" the story of popular music, directed by Tony Palmer. Theatre consulting began in 1959; the National Theatre of Great Britain was a major project that led to TPC working around the world. By the early eighties TP employed over 200 people and was the largest lighting, sound, and audio-visual supplier in Europe. Business over-expansion led to financial crisis, and the hardware rental and manufacturing companies were sold. Both lighting and sound activities continue to be successful enterprises under new ownership. (Now parts of PRG Europe and BlitzVision). In 1988, Richard moved to Ridgefield Connecticut and Theatre Projects Consultants grew across the Americas, as well as world wide, from its original base in London, now under the leadership of David Staples. For the London Academy of Dramatic Art (LAMDA) the Theatre Projects Trust ran the Stage Management and Technical Theatre Training Course in London under the tutelage of Richard’s mentor Robert Stanton from 1965 to 1986. 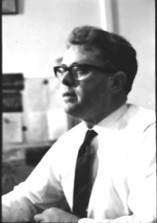 In 2006, Richard Pilbrow and other founding principals retired. The company continued its success, expanding into offices in Paris and Shanghai. By 2017 (the sixtieth anniversary of TP's founding) the company had been active on 1,500 projects in 80 countries.